I’m sure you haven’t seen a “one-size-fits-all” men suit, have you? The same goes for email marketing software. To find out which email marketing tool is most useful and cost-effective for your eCommerce website, I’d suggest signing up for at least three-four free trials or starter plans to dig them deep and wide. What is the size of your contact list? Are you planning to flood your customers with emails every single day or send a message or two once a week? Do you require marketing automation? Which integrations are you looking for? All stated above can determine your choice. Of course, there are a lot of budget-friendly email marketing options for those companies who are concerned about cost. While there are an endless number of email marketing services to meet your every need, I’ve made up my mind to focus your attention on 26 of the most popular marketing automation, testing, list building and tracking tools such as OptinMonster, GetResponse, Active Campaign, Contactually, Litmus, Campaign Monitor and others. To make the things a bit easier for you I also grouped them into five categories, based on their level of sophistication, effectiveness, and approach. Plunging into the world of email marketing is always a good idea, but before you start sending your first newsletters, you need the list of email addresses. Let me give you a heads-up that buying emails won’t work — it decreases deliverability, ruins your reputation and, in most cases, drives people mad. So there’s a high chance that your message will be immediately catapulted into a lonely place also called a “Spam” box. What should you do instead? Use list building tools to grow your opt-in email list. Below are a few tools for you to consider. Btw, in the next chapter we are going to discuss the ways of growing your email list in more details. 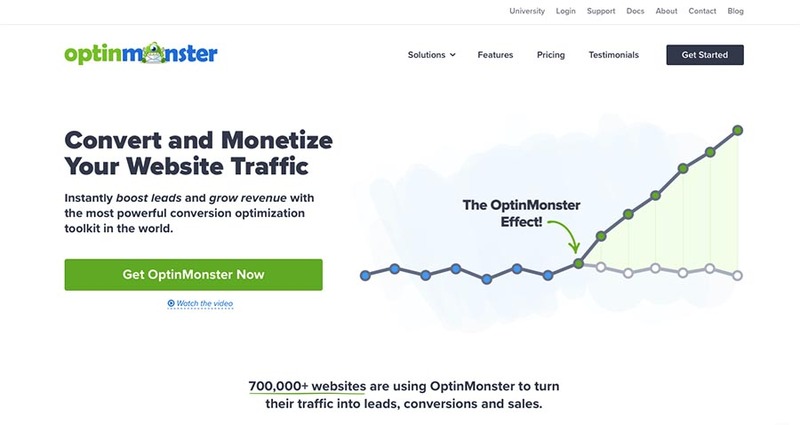 OptinMonster lead generation software will help you flawlessly create different types of signup forms and thus collect your leads without spending your precious time for exporting and importing CSV. files. 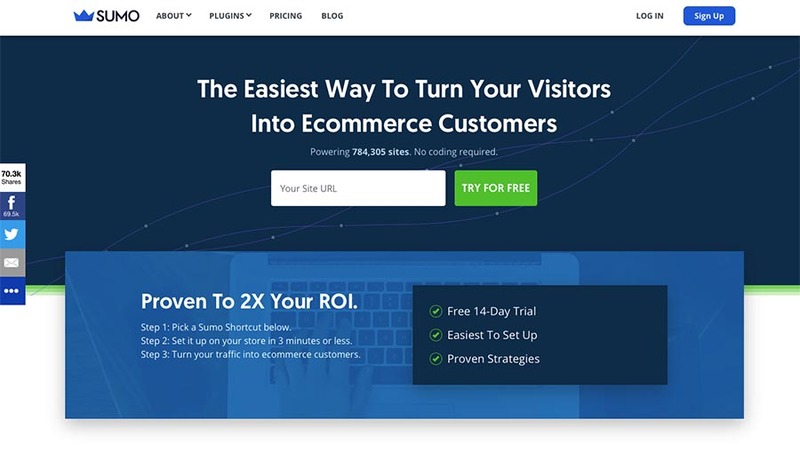 New leads, captured through these opt-in pop-ups, can then be segmented into groups and funneled right into automated campaigns or autoresponder systems. Price starts from $108 a year, not much, considering that some services like Keap, cost from $99 a month. Moreover, if only one person becomes a customer, the tool will pay for itself. As for the drawbacks, sometimes it’s hard to create pop-ups that match website’s style. I’d appreciate if there were more templates and customizable ways to edit form fields. But I hope new update will soon bring these sought-after options. Optin Architect is another powerful list building software that allows you to create gorgeous lead capture forms in a matter of a few minutes and build your email list ten times faster. All without getting more traffic. 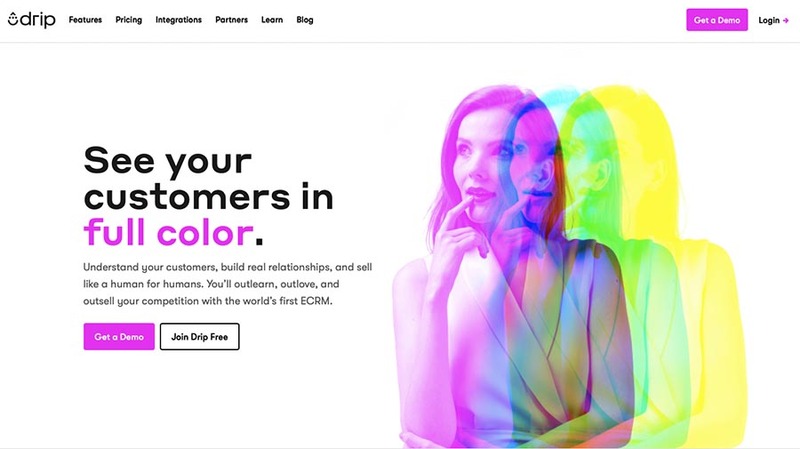 Eye-catching responsive templates, various types of opt-in forms, and a couple of advanced features, like animation or popup delay, will skyrocket your conversions and take your marketing to the next level. The same as with OptinMonster, there are very few styles, and some of them are almost identical, so it’s not always easy to make your signup forms match your brand style. Plus, they are not entirely customizable. For example, you cannot edit individual elements or add your images. And also the pricing is very flexible. You can pay monthly ($27), annually (save 70%), and buy a lifetime license. But. There’s no free trial, so you cannot have a sneaky peep inside the software. Not for a single minute. And here’s the icing on the cake — Sumo — a entirely free lead capturing tool. It gives you the power to create awesome popups that appear on clicks, timers and before your customers leave. Everything is done in a non-intrusive kind of way as if a friend gives you a hand with some back-breaking task. The app is naturally built for mobile and easily integrated into WordPress — you just need to install a plugin or paste a few lines of HTML code. If you are a pro user and need advanced features, like VIP support, live customisation, integration with Keap, HubSpot, SalesForce marketing automation services, there are paid plans starting from $29 a month. What you may not like about this app is that it may break your website if your customers’ Macs, iPhones, and Ipads are not updated to the latest version. Keeping pace with modern technologies is not always as good as it seems to be. MailMunch is one of the fastest growing lead generation services. Anybody can create high-converting landing pages within minutes using the powerful drag-and-drop landing page builder. It is super easy to create any layout in minutes for a highly converting landing page or squeeze page. Their repertoire of tools also includes form builders, list management, email broadcasting, and scheduling. 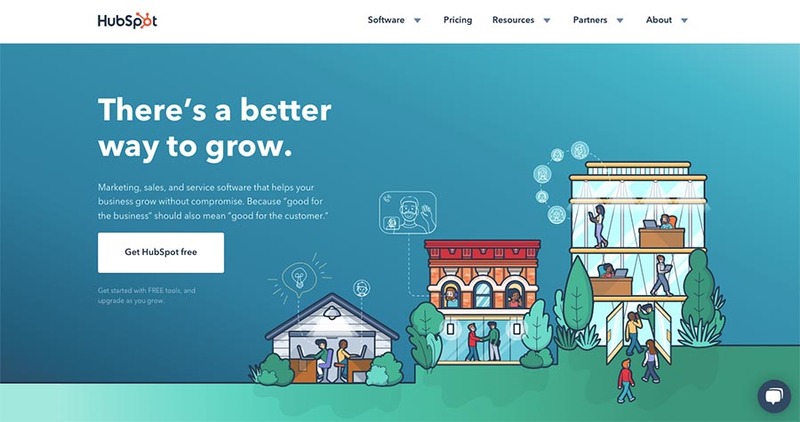 They’ve defined a special place for themselves in the super competitive SaaS landscape by offering a complete, user-friendly product at a competitive price point. MailMunch’s pricing tier includes a free option and goes up to $60 a month for people or agencies who need to manage multiple sites from the same account. Generally speaking, the app is great, and it works perfectly with many eCommerce platforms. However, their email templates leave something to be desired. Some of the templates seem outdated, and too basic for people looking for good, pre-built options. To customize emails, you’d have to do the legwork yourself to make them look nice. 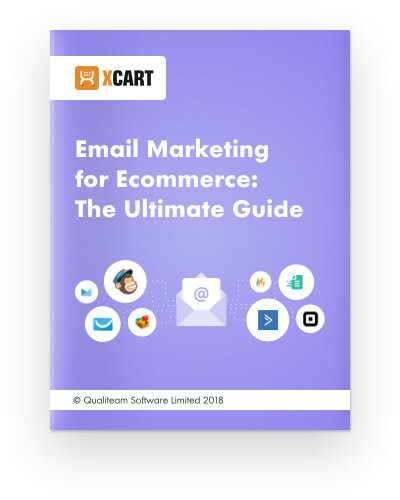 Small eCommerce companies who are just starting to grow their customer base do not usually need sophisticated email automation software. The two basic things they need are sending newsletters weekly or biweekly, and respond to their new clients immediately (and, if it’s possible, automatically). Ideally, this tool should also come with a number of pretty email templates, which can be smoothly customized. And no coding. No coding at all. GetResponse is the right tool not only for small and medium businesses but also for those just starting out. With GetResponse you will be able to create custom landing pages and host webinars. But what is most remarkable about this email marketing software is that it comes with 500+ awesome-looking and mobile-friendly email templates and a reasonable number of time- and energy-saving features, such as autoresponders and other automation tools with a/b testing capability built-in. The vast number of newsletter templates will allow you to create professional-looking emails in minutes. A/B testing is here to boost the effectiveness of your marketing campaigns. You can test your subject lines, sender names, body content, and even the time of day. Try GetResponse if you are not seduced by the idea of coding your templates inside out to fit your brand. While the software is not as feature-rich as, for instance, Aweber, it has a relatively low learning curve. Its setup process is easy even for non-techies, and the price, starting from $15 a month, won’t leave you high and dry. ConvertKit is a simple email marketing software, really adored by bloggers. Why? I suppose it’s because the software solves the problem of promoting their content and keeping in touch with those who want to hear from them. You can quickly create simple autoresponder sequences, tag customers based on the actions they take while reading your newsletters and then shoot the content they are actually interested in. ConvertKit is good for those who have outgrown MailChimp (or who are sick of paying double for this overhyped brand) but do not yet need all the bells and whistles that come with such high-end solutions as Keap. Now about the price. Though this advanced email marketing tool has everything an average blogger may need, it is on the higher end of price spectrum. For example, for the same amount of money ($49) you get half as many subscribers as GetResponse can offer. 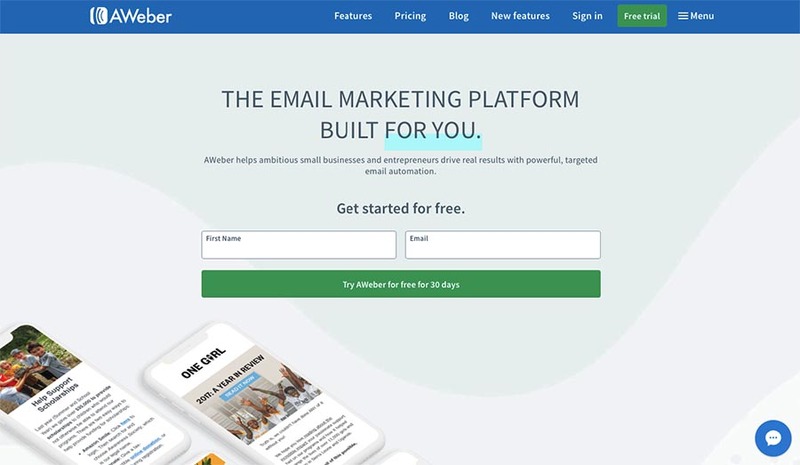 Aweber is a great newsletter tool for small and medium-sized businesses, that is primarily focused on nurturing subscribers with email campaigns. It comes with 150+ templates and hundreds of stock photos, which make the proсess of creating newsletters hiccough-free, as you’ve got many options to choose from. The latest design includes an email draft preview so that you could check the look of your email before sending it out to your subscribers. If you send a welcome email to every new subscriber, an auto-responder sequence will be the feature you like. Some services like Mailchimp may seem easier and cheaper to use, but they do not offer the marketing capabilities that Aweber offers. For just $19 a month you are free to send an unlimited number of emails to up to 500 subscribers. This email blast software is only $4 more expensive than GetResponse, but a way cheaper than ConvertKit, whose price starts with $29 a month for the same number of subscribers. 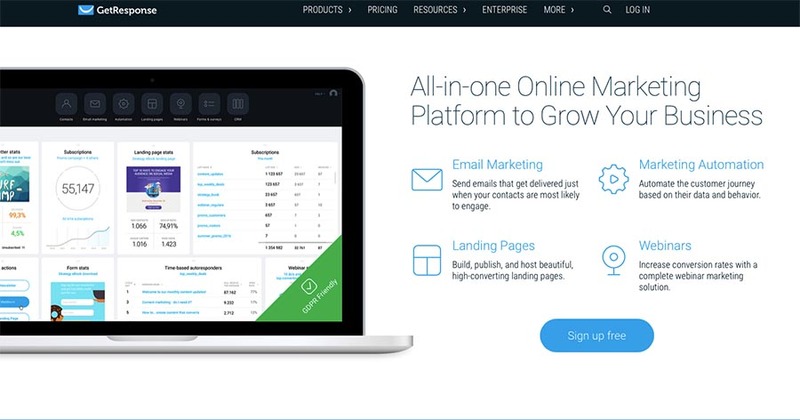 Constant Contact is a good and transparent email marketing platform for entry-level users. It will hardly beat Mad Mimi in simplicity, though, but it is a way better than Mad Mimi in terms of features. Different varieties of design templates, a free stock image gallery and a powerful editor for smooth customisation create an enjoyable experience for those who are not into coding at all. What I liked most about this tool are drag-and-drop functionality and easy navigation. You don’t have to be a graphic designer to send a great email! You have the power to send out beautifully-looking emails on your own. Though the overall service is mediocre and the user interface is a bit outdated, it gets the job done. Plus, they provide every customer with a personal marketing coach, who will assist with any questions or problems you have. All for the same bundled fee, as opposed to Keap that requires you to pay extra $999 for the similar coaching. Apart from standard marketing tools such as sending email listings and tracking, it has some unique features like event registration tools, feedback forms, and surveys. Very brave of them to compete with such market majors as Eventbrite and SurveyMonkey, hah? It never hurts to try, after all. 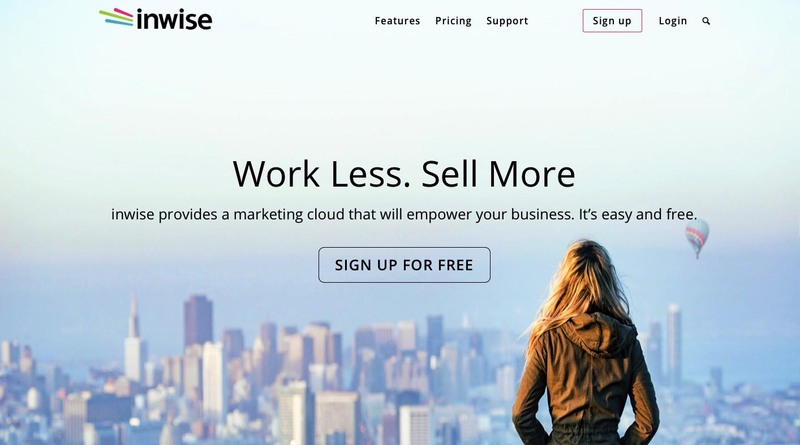 Inwise is a pretty intuitive and simple email marketing software that will let you focus on sending newsletters. Fully responsive email templates, automatically adjusted to any screen, be it a tablet, PC or mobile phone, will let you send impressive messages your customers simply cannot ignore. Additional features include sending personalized email, a/b testing and creating landing pages. If you have got less than 500 customers, Inwise’s forever free plan will fit your small business perfectly. You’ll enjoy creating up to 3K newsletters a month, but won’t be able to schedule your campaigns, send transactional emails, launch SMS campaigns, and use embedded images. Drip email is like an extended version of autoresponders and at the same time a more sophisticated (and probably more efficient!) way of onboarding your customers. Hello message” is always the first. Then go some instructions and use cases. And when the user is “hot” enough to purchase the product he is testing for free, there comes a sales email. It is usually the last one in the email sequence. Have a look at these drip email marketing tools you can use for churning out your eCommerce news and updates. ActiveCampaign is one of the most affordable email marketing tools for small to medium-sized businesses. Its price tag starts at $9/month and there is a 14-day free trial. What I love about this tool is the ability to breezily create drip emails. Compared to other automation services, which may cost you an arm and a leg, this one is the most extensive I’ve ever seen, plus it is super user-friendly and fast to get started. With Active Campaign you will quickly add logic to your automation sequences and be able to send messages to your customers based on their interests, behavior, the country they live in, interaction and more. For example, you can send an automated email to a client who purchases something from your eCommerce site, asking him to rate your services. Then, if you fail to receive the answer, remind him once again of your question. ActiveCampaign can as well boast its feature-packed functionality. There is also a formidable number of stock images you can use in your email marketing campaigns, image web hosting to store your pictures and logos, and real-time analytics so you can track the performance on the fly. And if you meet some troubles, just go through some of the instructional videos and support FAQs. They should help. Drip email marketing software, as the name implies, is also built with marketing automation in mind. It’s a perfect tool for streamlining your drip email process, especially if you have a SaaS product. Due to intuitive interface, there’s almost no learning curve — lots of powerful features, made to turn all your complex automation problems simple, are ready and waiting for you just around the corner. You can enjoy automated if-then-else workflows, lead scoring, user tags and a lot more. You just send all your user info and events to Drip and enjoy how the launched onboarding system works for your eCommerce business. Though it doesn’t offer social media integration or sales landing pages (or we may see these features in the nearest future? ), the app features lead generation technologies, many ready-made templates, and drag and drop layout for easy email customisation. But none of these additional features will beat automation. This tool works perfectly for both small and huge businesses, as there’s a 100% free account that gives you access to the essential features. There are also a couple of paid options for advanced users looking for progressive solutions. 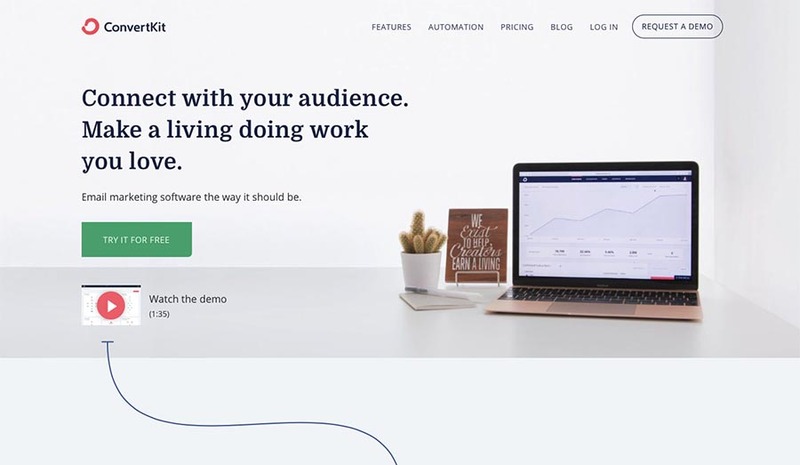 Compared to its much more expensive email marketing alternatives like Keap, where you get heaps of unnecessary features, Drip is a bit simpler and less feature-rich. But I can confidently promise that this service will pay for itself. Owning almost half the market, MailChimp is sure to be one of the most well-known email marketing services, popular mostly among freelancers and small side businesses, as it has a 100% free plan, which can be used for managing small marketing campaigns. Moreover, it has a very shallow learning curve — a well-thought design makes the user interface rather intuitive and insanely easy-to-use. But what is the most awesome about MailChimp is automation, that will allow you to easily set up autoresponders, schedule email campaigns, send drip emails based on activity or inactivity of your customers, and more. To start using automation tools, you will have to upgrade to a pro plan that starts at $20/month for 1000 subscribers. As for additional features, MailChimp has a fantastic drag-and-drop campaign builder that will let you easily create branded email newsletters and customize everything from fonts to spacing. The main disadvantage is that MailChimp forces users to double opt-in to join your list, which reduces email bounces but can ultimately shrink the overall size of your list. Plus, it’s rather pricey if compared to GetResponse. Keap is more than just a simple email marketing software for small business owners. Apart from sending newsletters, it can help you manage the sales process, capture new leads, track your users’ info and, as a result, save more time. It can also be used as a task manager and remind you about the appointments you have for the day and the contacts you need to follow up. You can also connect your Keap and OptinMonster accounts to segment your users based on their behavior. If your goal is to automate everything, this tool is the way to go. That said, the software is rather pricey. Its cheapest plan starts at $99 a month. On top of that, you will have to pay extra $999, a required one-time fee for the onboarding program called Kickstart. A personal coach will teach you using their platform the right way, which only means that Keap is not as easy as pie. This high-level soft is sure to bring you new marketing opportunities, but it may take days to set it up according to your business needs. If you are just starting off, Keap is not what you are looking for. Definitely not. However, comparing this email marketing software to MailChimp or AWeber is like comparing a Lamborghini to a VW Golf. Image and text-only emails are as old as Adam. So if you feel like spicing up your email marketing, BombBomb is the right tool for you. Video-powered drip emails is what this industry-led service can do best of all. It adds a personal touch to all your emails, even automated ones, so that your customers feel like they are engaged in a trust-based dialogue with a real person instead of reading a clinical, business-like copy from an outsider. 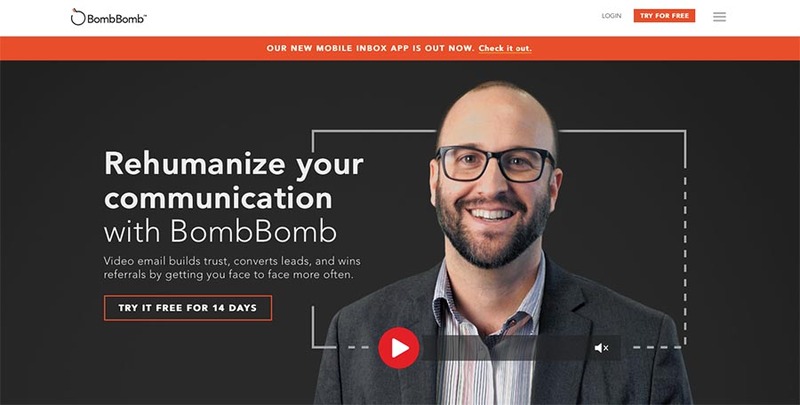 Like MailChimp and Constant Contact, BombBomb is set up for long-term email engagement, not just responsive messaging. You can easily schedule reminders, send mass emails and automate your email marketing campaigns. Everyone sends emails, but very few dare to connect via video, which makes the onboarding much quicker and easier, as you operate body language and tone of voice that adds to your karma. Marketing automation is a SERIOUS strategy. It requires most setup, formidable investments and a good bit of thinking. But don’t be scared. It is already proved to be the most effective form of email marketing, and it is worth the trouble. To tell you the truth, marketing automation reminds me of drip campaigns (see above). Actually, it’s not. If drip email blasts are just a sequence of messages, separated from each other by time, marketing automation is about buyers journeys. It’s a way more sophisticated, as you get into your customer’s’ shoes and walk the lead through his buying cycle one step at a time. Every next message depends on what action your user made in the prior email. 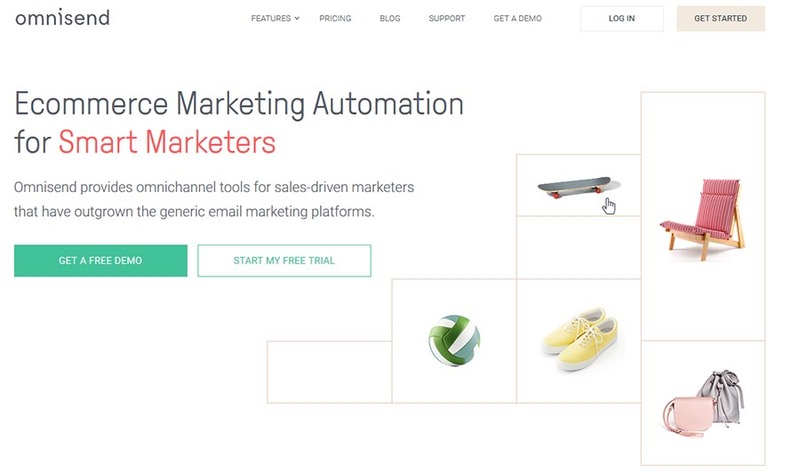 Let’s have a look at the most popular marketing automation tools available on the market. This marketing automation program, while not perfect, allows you to gather as much information as it possibly can to guide your messaging, then segment it into buckets and tags. Btw, I love this bucket game! And, judging by the reviews, everyone does. Contactually gamified the process of staying in touch with your contacts, so you do not feel you are doing some endless monotonous task. You do not have to remember when you made your last call or what you wrote in your previous message. It’s all inside this tiny useful tool, which will poke you when needed and remind you to do what you were planning to. A huge time-saver. What I dislike is that there is a lot of manual work that goes into setting everything up. But when this time-consuming process is over, you can start selling online while playing the bucket game. 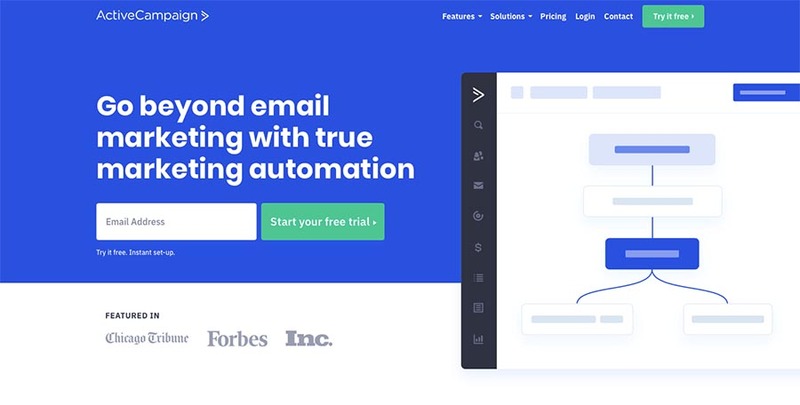 Compared to other email marketing automation tools, like SalesForce, Keap, and Zoho Campaigns, Contactually is super easy to use and helps automate simple daily sales tasks. On top of that, you are not forced to pay right away. There’s a free two week trial that allows you to play with the software a bit and see if it’s right for your business before subscribing to one of their plans. Omnisend is a flexible eCommerce marketing automation platform that uses an omnichannel approach aimed at helping growing eCommerce stores improve their marketing efforts. 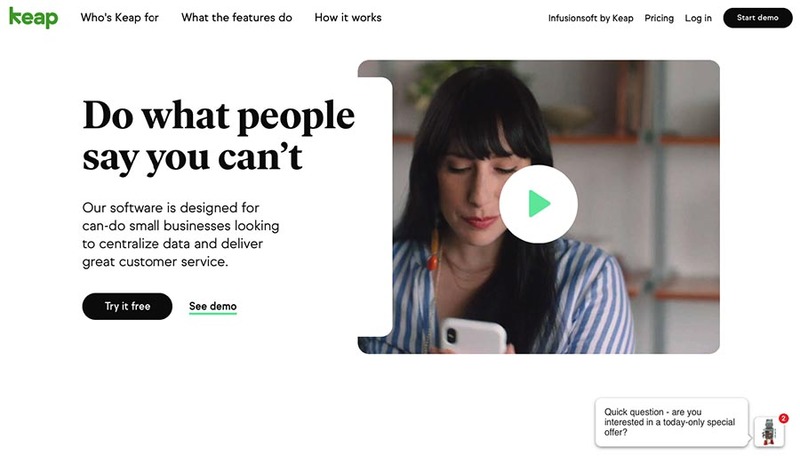 Making omnichannel marketing accessible, you can create customized messages for their customers and provide a seamless customer experience from the first interaction to the last. Its in-depth integration with eCommerce platforms allows you to collect valuable data about your visitors’ shopping behavior for more precise personalization and segmentation. Omnisend supports communication via email, SMS, web push notifications, Facebook messenger, WhatsApp and Viber, so you can reach your customer, no matter what their preferred channels are. Starting off at $16 per month, pricing is based on the number of subscribers and features desired, making it one of the more competitively priced tools on the market. Though this is a strong web platform, there isn’t a mobile version for Android or iOS at this time. HubSpot is one of the neatest all-in-one marketing solutions that can help you move your prospects through the sales funnel. 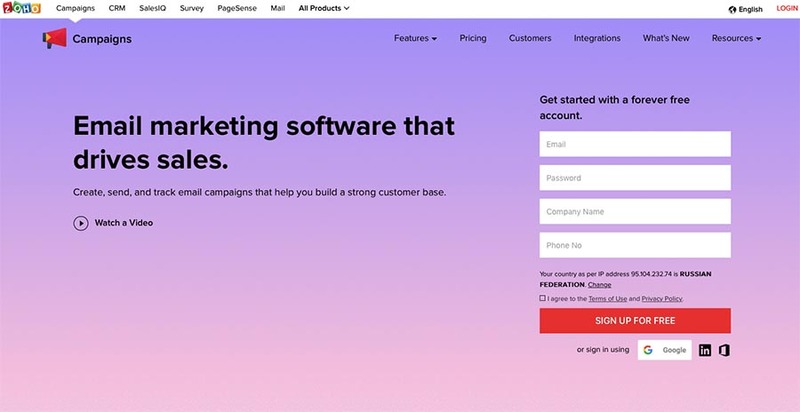 And whether you are looking for a basic CRM, marketing service provider or an email marketing software — HubSpot will be right for you anyway. It will flawlessly streamline your marketing and sales processes through the use of automated workflows. What I don’t really like about HubSpot is that the reports are quite limited and the price tag is too high for a small company — it’s $200 a month plus $600 onboarding fee. If you are new to marketing, HubSpot has a steep slope to climb to understand everything that it offers. However, if you set your mind to implement a sophisticated marketing and sales strategy for your eCommerce business, HubSpot will take all of the pain of implementing that away and let you concentrate on strategy and execution alone. This software puts intelligence into that marketing mix. 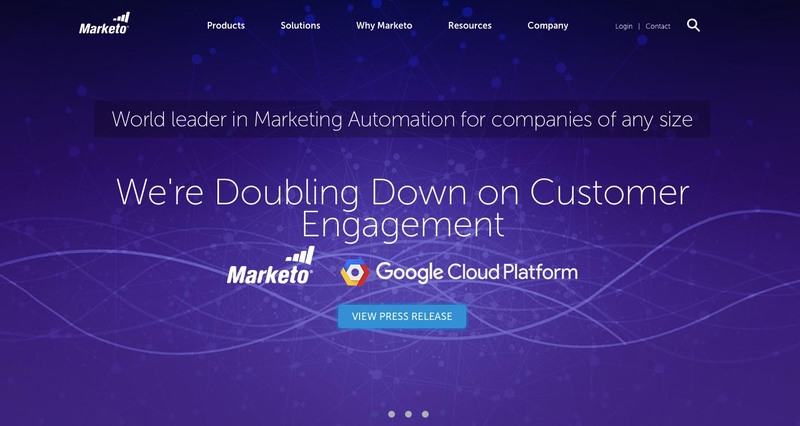 Marketo is a great email marketing tool for the majority of small and medium businesses, and probably one of the best fully automated email marketing services currently available. Besides top-notch automation, if offers lead generation and budgeting tools, real-time personalization and marketing calendars. Marketo has a tremendous user community ready to help both online and even face-to-face. If your eCommerce business needs complex sales cycles, Marketo’s is the best email marketing set-it-and-forget-it software for you. As for the drawbacks — the user interface is rather old-fashioned and not intuitive at all. You’ll have to spend extra money to go through live training. This is probably the only way to learn the software. Otherwise, be prepared to spend adequate time in the first few months learning the basics of the system and researching the Community and Product Docs. Salesfusion email marketing software is primarily designed for B2B companies who are committed to increasing revenue and blowing up sales organization by aligning marketing and sales. Very responsive customer support team, interface ideally geared to marketing brain, and a great email builder makes this email marketing tool very easy to set up and get going with your email campaigns. Lead scoring, nurture automation, event management, CRM integration, and reporting are the best features. If compared to feature-rich Active Campaign, Salesfusion lacks some useful capabilities such as the ability to visually represent your campaign process flow with a campaign diagram. Pricing that starts at $700 per month may push you off. But compared to HubSpot, Pardot, and Marketo, it’s rather favorable. There’s also a very steep learning curve. Setting this email platform to fit the exact needs of your eCommerce business almost always requires some help from their professional services team at an extra fee. 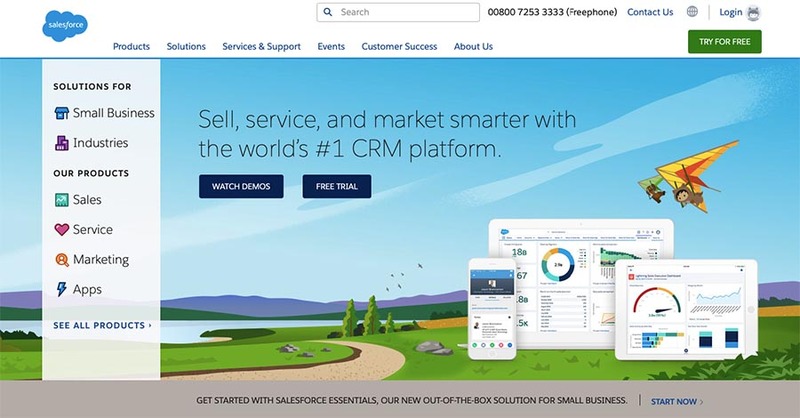 Salesforce, email marketing software, offers the full spectrum of features “any average Joe” might expect from CRM tool — real-time analytics, automation, geographic performance reports, options for scaling marketing campaigns inside and out. It helps effectively manage sales pipeline, track inbound and outbound emails, and send targeted newsletters to different groups of people. As for the cons — you need to be tech-savvy to set up the soft and support can be a bit of a challenge, unless you purchase their Premier Support. 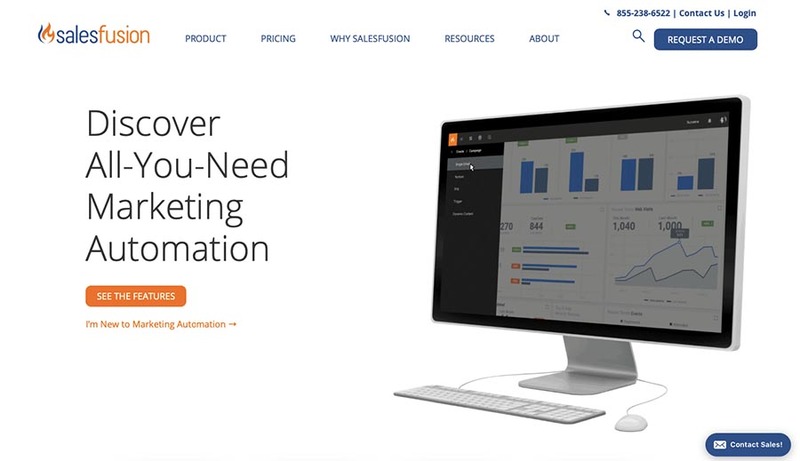 So if you have no experience with marketing automation, don’t use this product. However, if you are comparing such email marketing tools as HubSpot and Marketo and you are looking for a more affordable option with many of the same benefits — Salesforce is the right choice. Powerful email marketing is not only about sending newsletters. It’s important to know what your customers see when they are opening your email, what content and subject line work best for them, and if there are any problems related to email deliverability. The following apps will significantly save your time testing your emails and help you never send a broken email again. 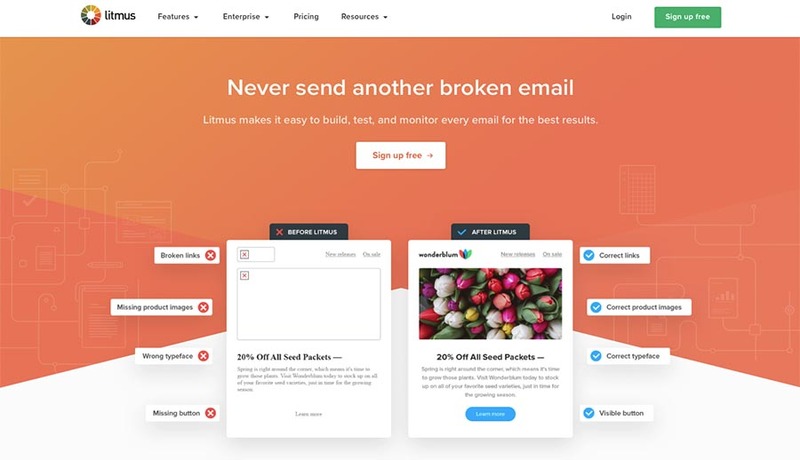 Litmus is a multi-faceted email marketing software you can use to test and track your emails before and after sending them to your subscribers. You know it perfectly well that a perfect email should look good in all email clients. As there are at least 70 email clients — Apple iPad, Outlook, Gmail and many more — it’s next to impossible to preview your message across all of them. Well, it is possible with Litmus. Catching errors is also crucial as they can impact your overall performance. Litmus will quickly double-check your email for broken links, images and speed issues. A very nice option is adding an invisible tracking pixel into your email code. It will show you how and where your email was opened, how much time your recipient spent reading it, and whether he printed, forwarded or deleted it. A SPAM test feature will allow you identify the potential issues preventing your email from getting delivered. The price starts at $948/yr for their basic plan. Though this email marketing program can do almost everything — from organizing your contacts to creating beautiful newsletters, the best Cakemail’s feature is by all means split and a/b tests. You can test email name and address, subject line and content. And, of course, every competition has its winner. When the test period is over, your leading content will be sent to the remaining portion of your list. These hacks should help you find out which content performs best even before the email campaign is sent to all your users. You will also find this feature in MailChimp, but the price for 1,000 contacts will be almost twice as high — $240/yr in MailChimp VS. $134 in CakeMail. As in Litmus, Cakemail has a useful “Spam Assassin” feature to help you identify the reasons why your messages end up in spam folders. Email on Acid is also a great testing tool that will help you make sure that your email looks flawless across all devices and in every inbox. Besides the basic options, such as image previews, link checking and spam testing, Email On Acid can boast of having an incredibly powerful code analysis tool. It displays warnings about unsupported tags or other HTML and CSS features, which can save tons of time and headache when troubleshooting your HTML design. The pricing is by far superior to what Litmus offers ($348/yr compared to $948/yr), but still, it is a little steep to recommend it to small or growing businesses. Tracking and monitoring is an important part of your eCommerce business strategy, no doubt about it. The same goes for emails. what distracted him from making a purchase. The best email marketing platforms can do the tracking task for you. But not all of them can do it the right way. The best three things about Campaign Monitor are tracking, testing and optimizing. It features interactive easy to review analytics that will help you better understand your customers and plan your strategy according to the test results. This email marketing software also offers advanced contact management options, so you can easily segment your user lists based on their behavior or actions and then send separate email marketing campaigns. As for the drawbacks, Campaign Monitor can sometimes be touchy when uploading new subscribers, and there are only few native integrations with different eCommerce software solutions such as WordPress in comparison to MailChimp. Basic plan starts from $9 a month for 2,5K messages to 500 people, basic email support, core email marketing features, insights analytics suite, and basic marketing automation. Zoho Campaigns is a good email platform, designed for small to mid-sized businesses which allows you to focus more on your target audience and your message while it takes care of your marketing campaigns and conversion rates. It also provides marketing automation tools to make your email marketing a breeze. Though the user interface is a bit cumbersome, a handy WYSIWYG editor will let you easily customize templates and thus create nice-looking newsletters. But the most outstanding feature of Zoho Campaigns is its integrated in-depth analytics system. Being able to track the performance of your campaigns in real time, check which links receive the most clicks, know where your opens and clicks come from and get notified about spam complaints is very helpful for planning your next campaigns. Pricing plans start at 5 euros a month for 500 subscribers, which is rather cheap. 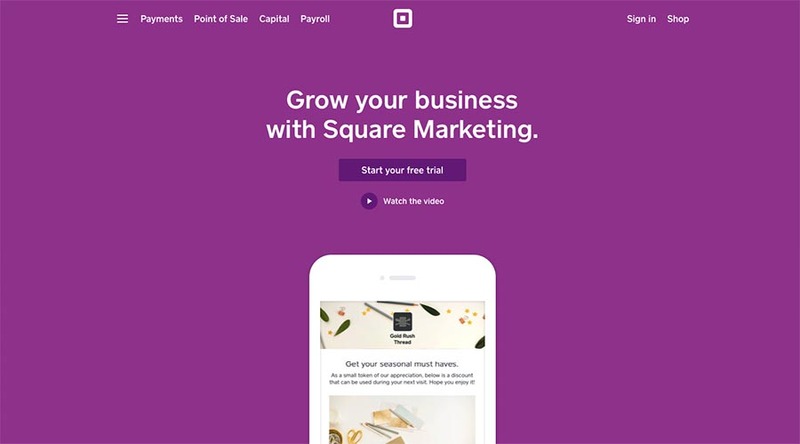 Square is an all-in-one sales tool. It can fulfill lots of tasks for you (not only related to email marketing): create perfect emails, accept payments and even manage inventory on your eCommerce website. Though this app is best known for payment processing, it also features automation and segmentation options, social sharing, beautiful templates and automatic distribution lists. The ability to collect statistics is probably one of the most useful features here. You can see whether your sales come from new customers or returning shoppers. After sending out an email blast, this smart software compares email recipients with credit card payments they made to show you the journey the customer made and how it drove actual sales. The tool classifies people into loyal, casual and lapsed so that marketers can form campaigns based on how frequently a customer visits the store. Its pricing starts at $15 a month. This is it. The list of my favorite email marketing tools for small and medium businesses has come to an end. Hope this general overview will help you find the tool that perfectly fits your business purposes. Just pick a couple of apps from the list above and drill them down. I’m sure you’ll discover 10X more features than I have (feel free to write them in comments below). Let’s discuss ways to grow your email list. Your email marketing will bring you a goose egg if you’ve got no emails, right? Spoiler: You’ll get to know what digital marketing super freaks, like Barry Feldman or Robbie Richards, think of all that stuff.